Choose any 3 stock colors in any plunger/clip, barrel and section combination! The imprint location may vary slightly with 1-color imprints only. 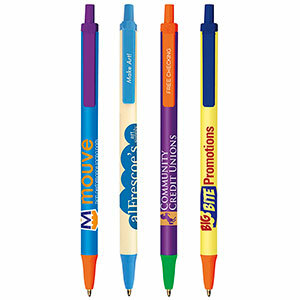 For multi-color imprints on clear barrels, the imprint area is 1 7/8" W x 3/4" H.